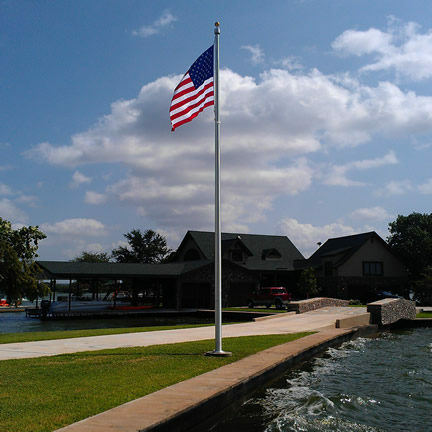 American flags, Texas flags, international flags, state and military flags, indoor and outdoor flagpoles & accessories, custom flags, guidon poles, flagpole lights and much more. Enjoy the convenience of ordering online or give us a call & let our knowledgeable staff assist you. Flag Etiquette on and off the flagpole. Ever wonder what days you should fly the flag? Or how about where to place state and municipal flags when grouped with the U.S. Flag on your flagpoles? How about how to properly fold a flag? We’ve compiled a short list below for you to check out and brush up on your flag awareness. Official U.S. Flag Code — Sections dealing with federal laws and regulations for displaying the U.S. Flag. Folding and Other Etiquette — How to fold a flag, where to display it in accordance with other flags and how to illuminate the flag when it is displayed 24-hours a day. U.S./International Display — Basic information regarding proper and dignified display of foreign flags in the U.S.